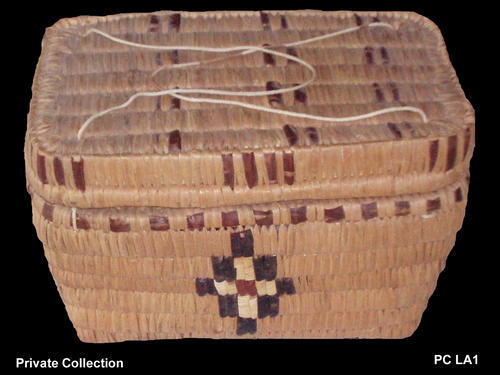 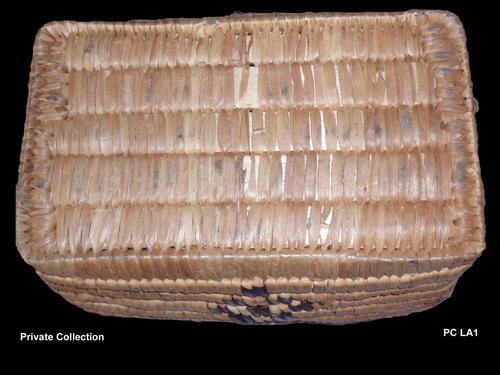 Jeannie made this 'bullet basket' for Les Adams of Sliammon. 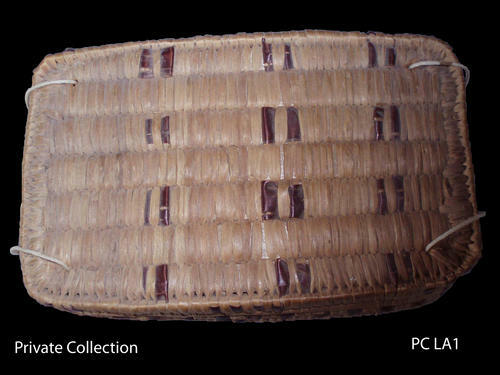 She is known to have made several other bullet baskets of this type. 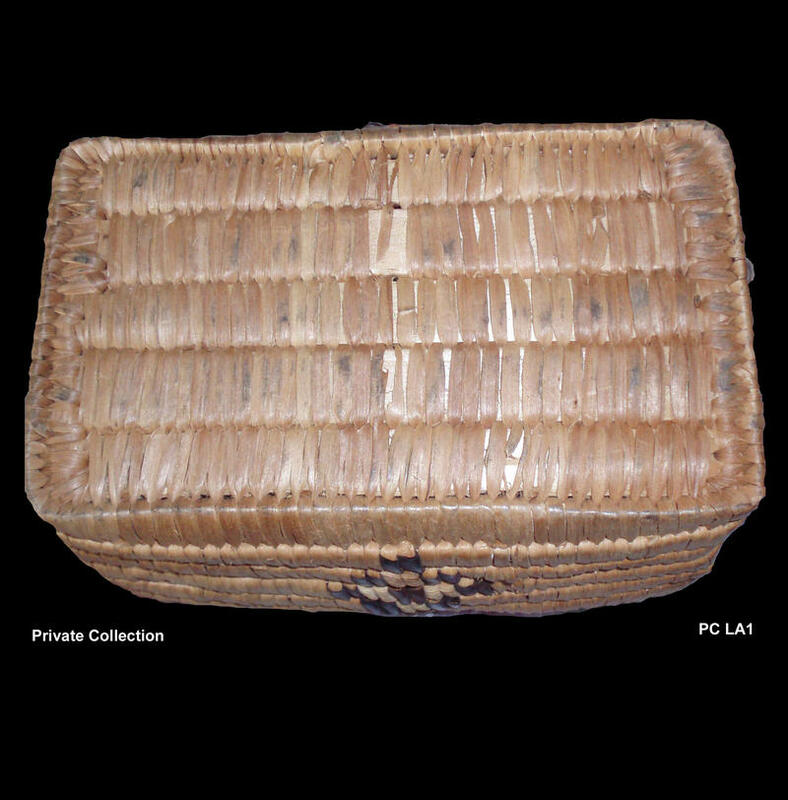 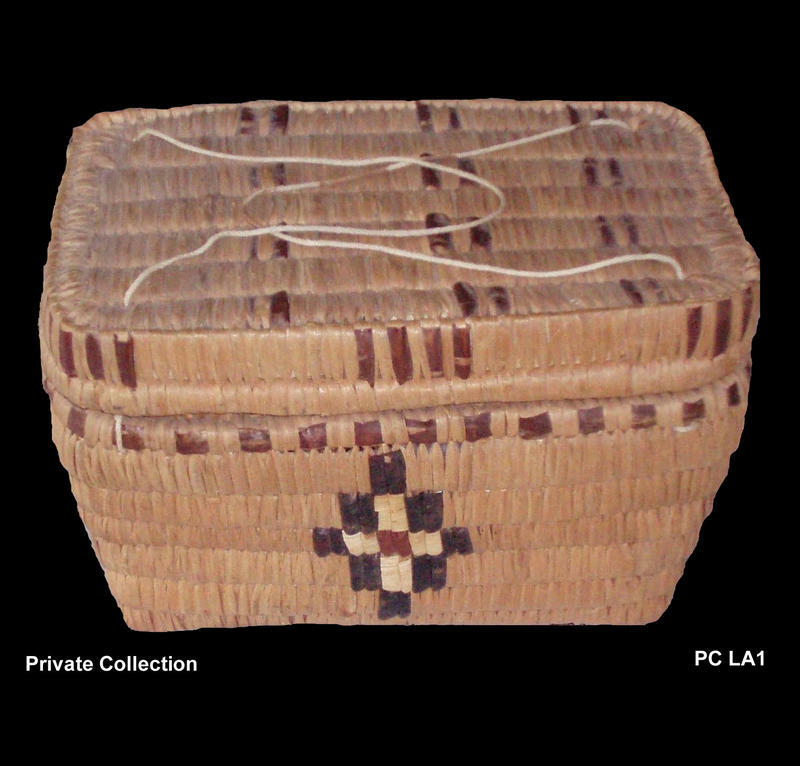 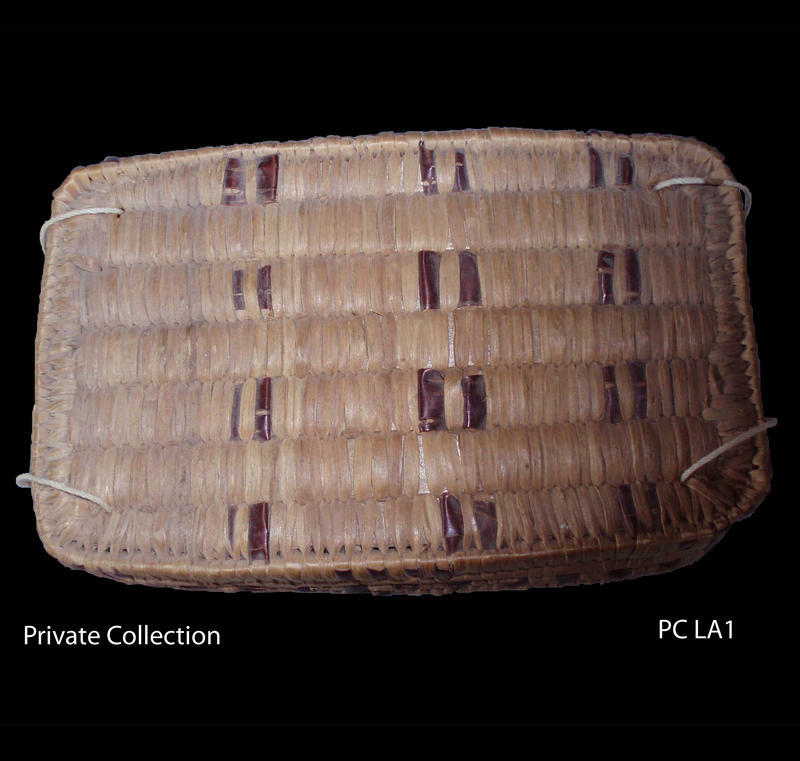 One small, rectangular slat coiled basket with lid. 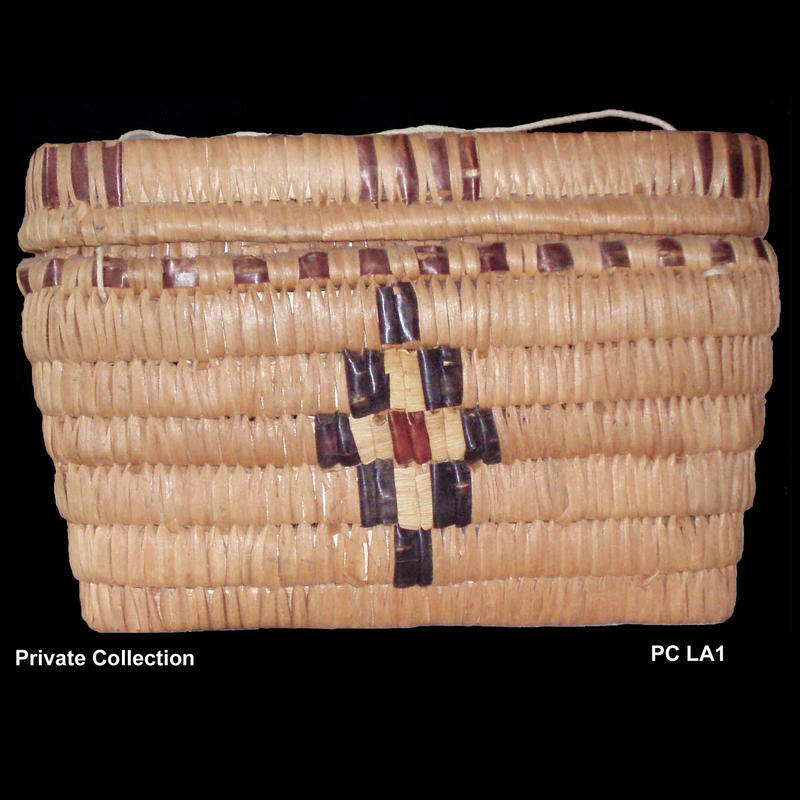 Imbricated designs. 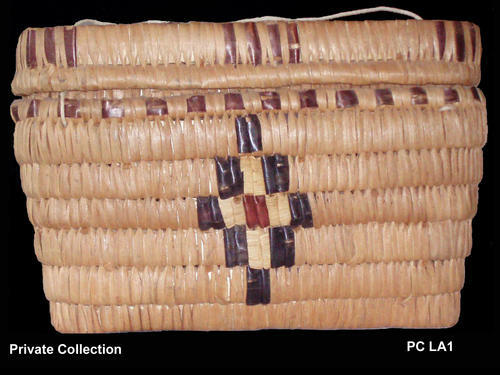 Materials: split cedar slats, cedar root, cuddyhunk (twine), bitter cherry bark (natural red and dyed black), corn husk.